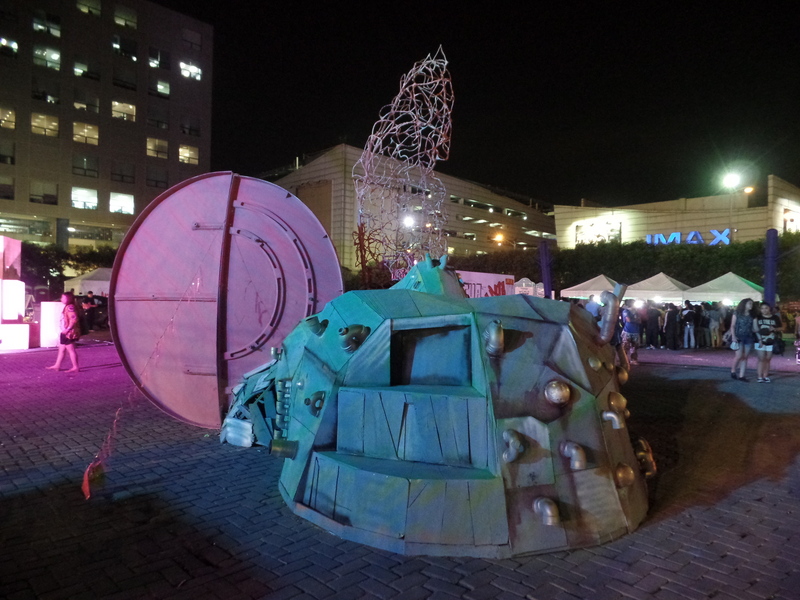 What We Loved About MAD Fest 2014: Music, Art, Dance, Kimbra, and More! 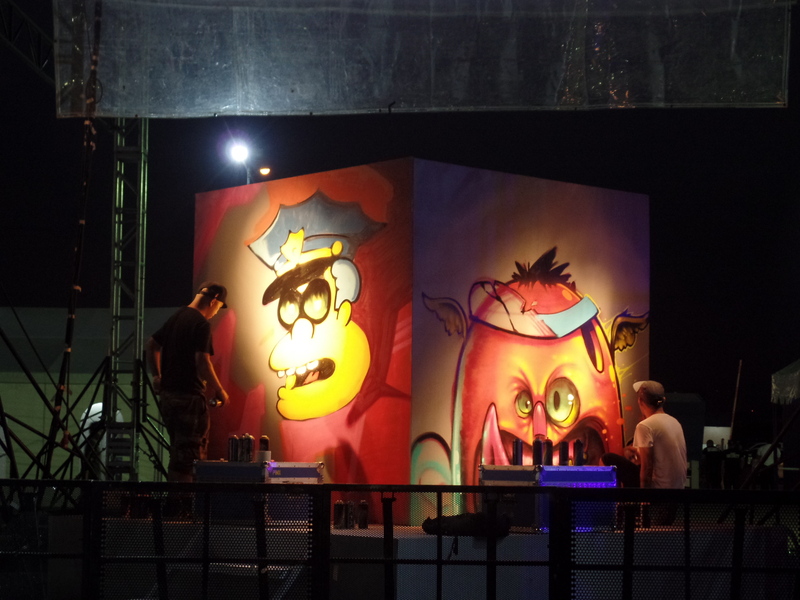 Local musicians, dance troupes, and graffiti artists dominate by displaying their mad talent at this year's MAD Fest 2014! 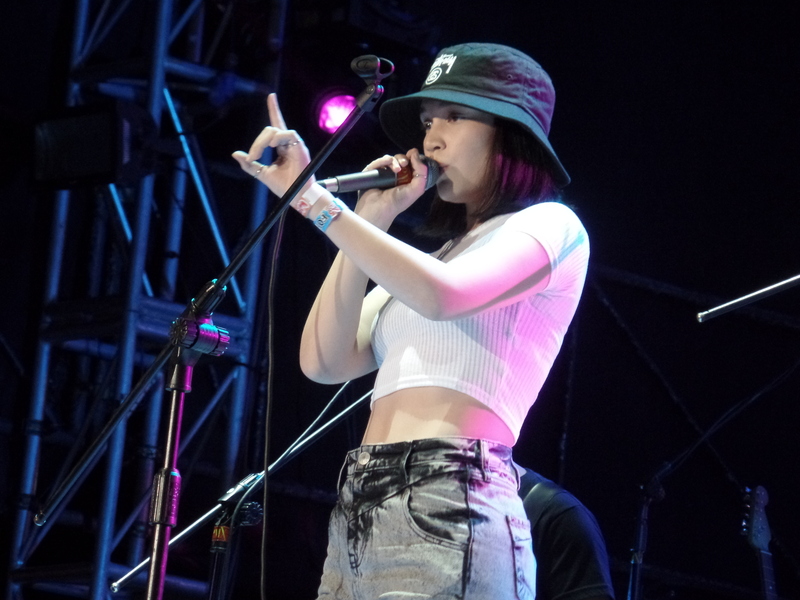 Hosted by Jack TV, MAD Fest 2014, the biggest and maddest music, arts, and dance festival in the country, took place last December 5 at the SM Mall of Asia Concert Grounds. Everywhere you looked, the place was packed with amazing energy and just an all-around appreciation for self-expression in its different forms. Making the madness alive for 12 hours non-stop, check out the main highlights of the first ever MAD Fest in the country. 1. The dance crews from different colleges. Huge white canvases were painted with school spirit, giving out their full support. The night was peppered with talented dance crews from different schools who showed that they've got the grooves down. UAAP Cheerdance Competition champion, the National University (NU) Bulldogs, and world class Filipino dancers, Team Vibe, brought on their A-game as they performed for a packed MAD Fest crowd. 2. Art installations and live art performances. 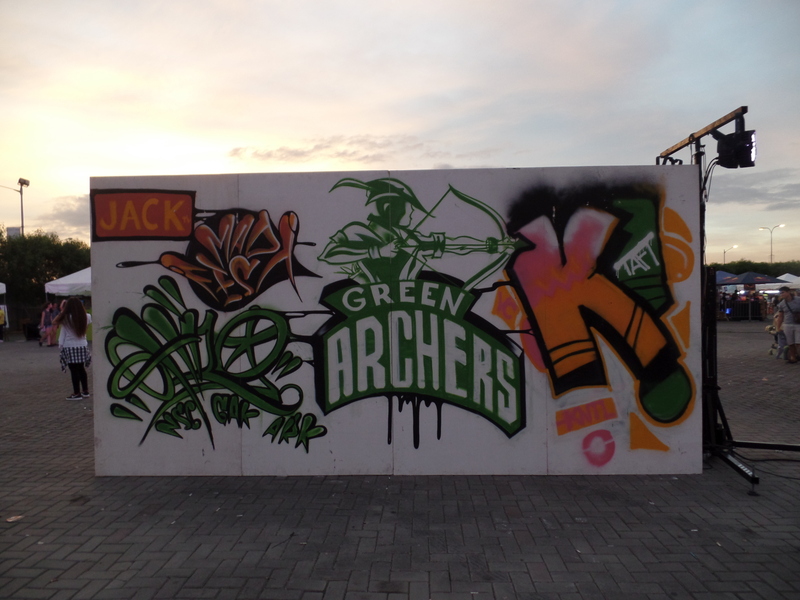 Would you believe that the amazing guys from Secret Studio had some of these spray-paint arts done on the spot while the festivities went on? The Sipat Lawin Ensemble brought their mantra, "Method in this madness, madness in this method" alive with this avant garde piece. Don't be surprised if a person decked in festive colors comes up to you moving about mechanically with a blank stare in their eyes. Leeroy New's curation of art, alongside up and coming artists from like the Imagine Nation Studio and Jagnus Design Studio filled the blank spaces with interactive art experiences. Later during the night, the audience was ushered in to a spoken word performance from artist siblings, Kooky and Richard Tuason. The poetry, verbalized with emotions and feelings, are further heightened by the beautiful sound art reverberating in the background. It was an evening for OPM as 15 local musical acts came together to bring their own flavor to the stage. 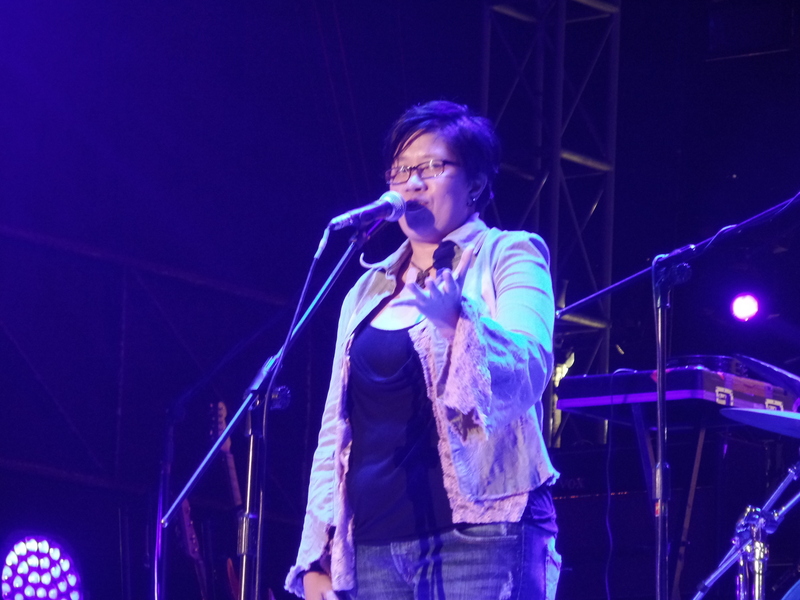 New comer Toni B. sang her heart out with jazzy quirks that delighted the audience for the opening act. 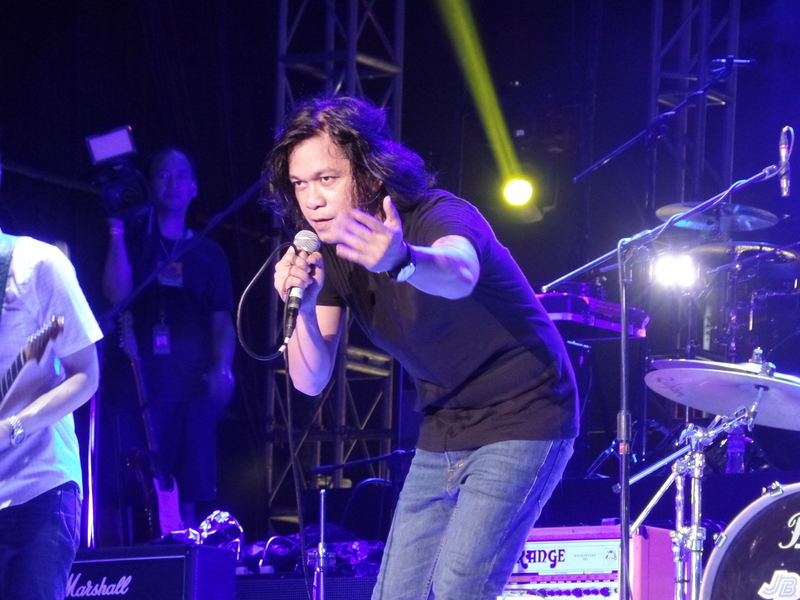 Cheats was a personal favorite out of the OPM artists that took the MAD Fest stage. 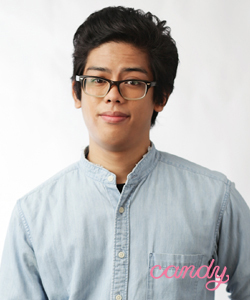 Saab Magalona is one of the vocalists of this indie rock band heating up the scene. 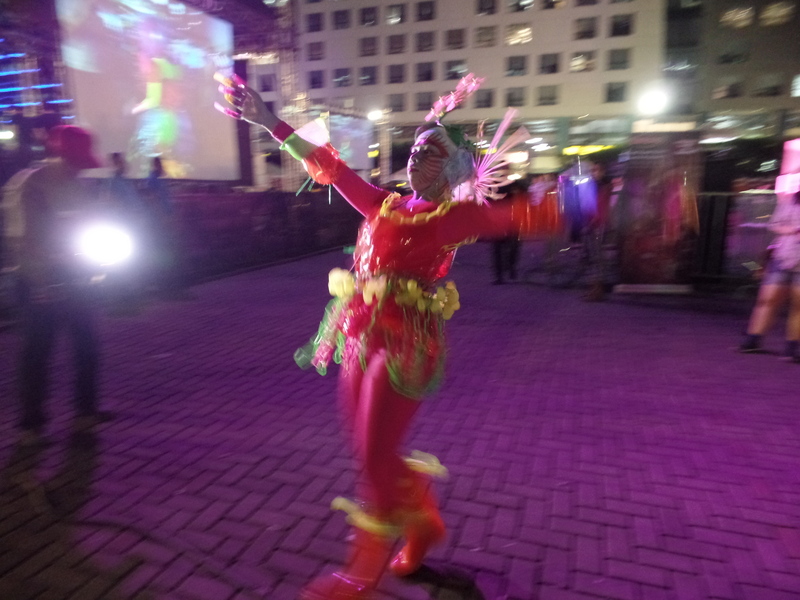 She was seen dancing and having fun as they performed their 4-song set. Flying Ipis, another indie rock act staple, got the crowd all warmed up with their set as well. Electronica-funk-electro-nu-soul-disco-future garage trio, Sinyma belted out some of their funky groovy tunes. Soulful vibes was also part of a huge backbone for the festival with acts like Chocolate Grass taking the stage. 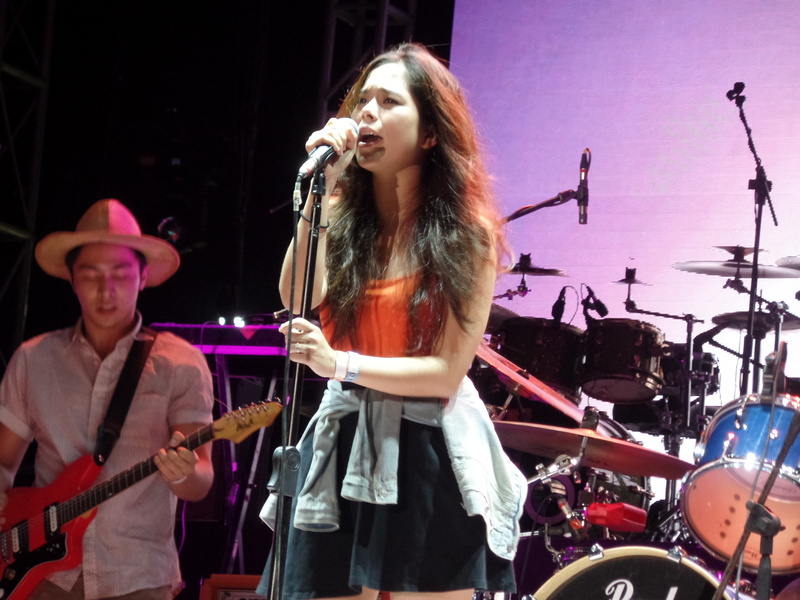 Designer slash songstress, Kate Torralba wowed the crowd with a sparkly outfit alongside her blues-y vocals. She even shocked everyone with her announcement of leaving for London to pursue her music dreams. Best of luck, Kate! Big OPM bands and solid faves, Kjwan, Urbandub, Sandwich, and Imago sure do know how to get the crowd going. Highlights of the night included Sandwich's Raimund Marasigan's staple rock star move, the crowd dive, and Kjwan's Marc Abaya singing his hit song with a megaphone to the mic. But of course, the MAD Fest 2014 would not be complete without the main attraction. At about midnight, the name we've all been waiting for was finally announced. 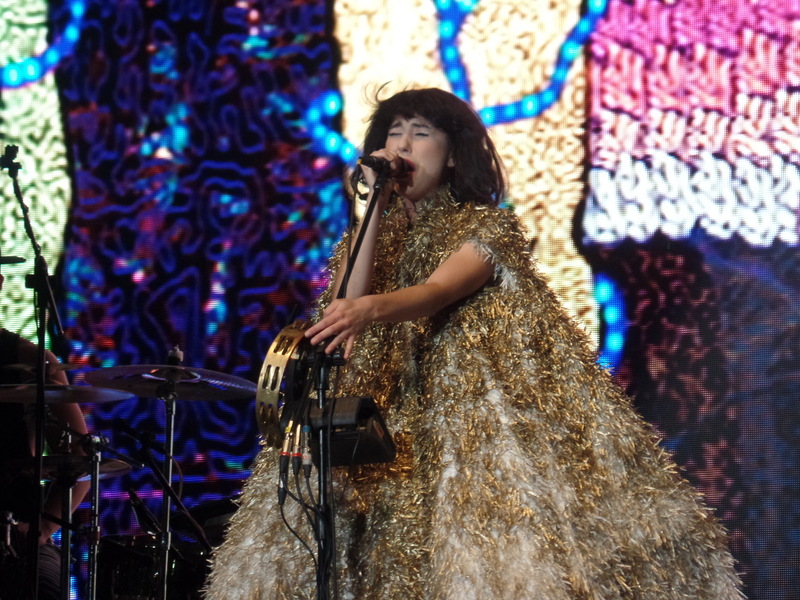 Everyone was chanting "Kimbra" in unison. We waited a few minutes for her to actually come out but when she did, it was definitely worth the wait. She came out like a queen dressed up in royal wear. Performing her hit tracks like "Settle Down" and "Cameo Lover," the packed MAD Fest audience jammed along with her. You could tell she was really loving Manila and enjoying her stay. 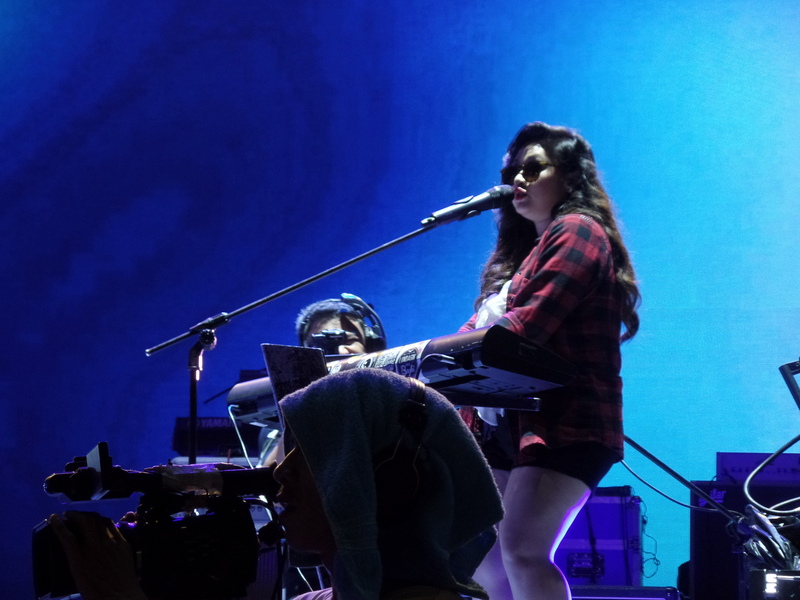 Between songs, she conversed with the crowd through a shot at basic Tagalog words, recognized the Pinoys' love for dancing, and told stories about her stay (like how she ate halo-halo and lechon, and did some sight-seeing on her down time). She even dedicated "Gold Mine" for the victims of Typhoon Yolanda, telling everyone how inner strength can't be taken away from anyone. She finished her crazy spectacular set with her hit track, "Miracle." Ending it with a bang and having us all touched, Kimbra told the crowd, "Manila, you are my miracle!" Oh Kimbra, consider us utterly smitten. We danced the wee hours of the morning away to the beats of DJ Ace Ramos, Motherbass, Katsy Lee, and Deuce Manila. Perfect way to ring in the weekend! What a mad night indeed. 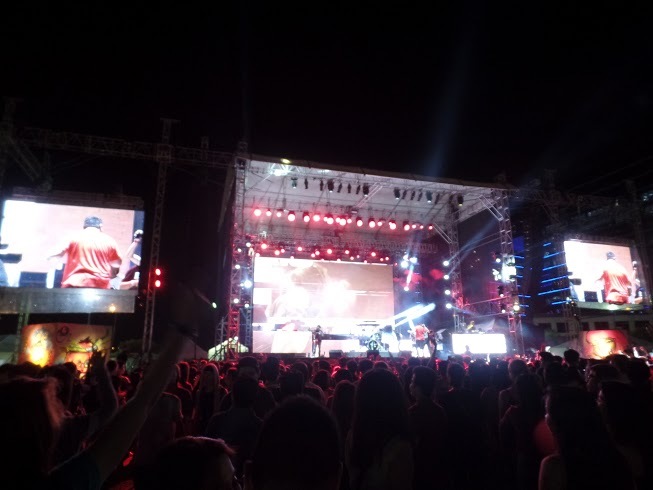 Were you at the MAD Fest 2014? Tell us your stories in the comments or tweet us @candymagdotcom. Let's talk music festivals! What makes me a Candy Girl: I'm a fearless, fun-loving girl who's game for anything. And, I'm just really in love with food, fashion, music, and pop culture.